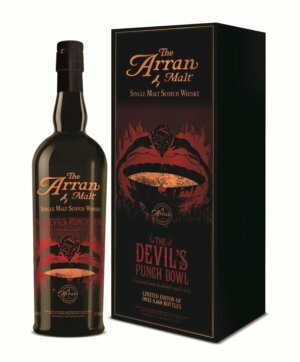 I couldn’t resist the hypnotic charms of the new Arran “Devils punchbowl”. It is named after an area of Arran. 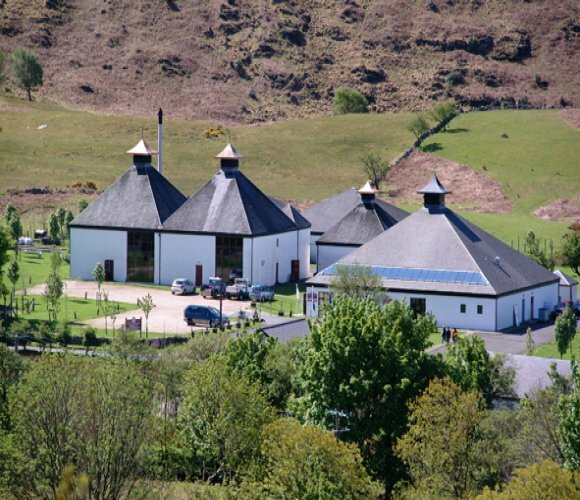 Limited to 6660 bottles, it is a vatting of 24 casks distilled between 1996 & 2006. A demonic concoction of ex sherry, ex bourbon and peated whisky. The devil is in the detail, and as a whisky geek, I really appreciate the details that Arran have inscribed on the box. A full cask listing is very interesting to whisky obsessives like me. So let’s taste this devilish creation, and see if we respect Arran’s talents. Nose: Dried fruit, pears, apple and pine cone schnapps. Zesty, hints of ginger and aromatic. An intriguing, complex nose. I wasn’t sure with my first dram, but after another dram, I was convinced. Palate: An explosion. The devil has struck with apricot, peaches, pink lady apples, zest and all sorts of other fruitiness. There may be a slight peat, but that could almost be char from the casks. A bitterness, almost like a hoppiness. Sitting afterwards, we wondered about the name, as the packaging suggests big and peaty, but to go back to my initial point, the devil is a charmer, and this drams fruitiness has a charming and beguiling nature, with a tiny dash of the smoke/fire you may expect. After dram one, you will go back again and again, until it is consumed. This entry was posted	on Thursday, August 2nd, 2012 at 3:07 pm	and is filed under Reviews. You can follow any responses to this entry through the RSS 2.0 feed. Responses are currently closed, but you can trackback from your own site.